A tour of the Houses of Parliament is something everyone should try and do once. It's spectacular, historic and relevant to our lives. Londonist folk were fortunate to go on a special tour of the Palace last week, peeking into bits not normally open to the public. It truly is an awesome place, in the proper sense of the word. While fears Parliament could turn into a "theme park" haven't yet been realised, steps have been taken to diversify the tours on offer and, this summer, the option to add Afternoon Tea on to the end of your tour was trialled. Taking place in the historic Pugin Room, visitors can indulge in a delectable spread including citrus marinated Scottish salmon with cream cheese, Valronha chocolate delice, and of course, the obligatory scones with jam and clotted cream. Naturally, combining two quintessentially British experiences in one has proved to be vastly popular with visitors and the first batch of teas quickly sold out. New dates have been announced today, all the way up to Christmas, so if Afternoon Tea overlooking the Thames appeals, we recommend you book soon. Find the new dates here. Afternoon Tea costs £25 on top of the guided tour price. Can't be doing with sandwiches and scones? 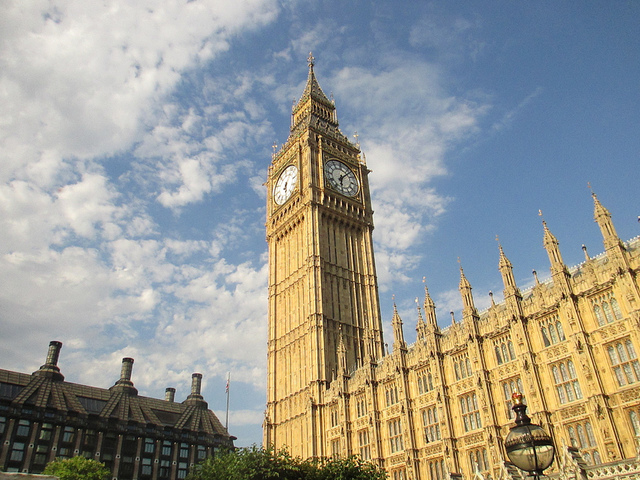 Find out about the full range of Parliament tours here.